Greetings Loyal Airmen, and as you read this Valerie and the Air Chief are one day away from heading out on vacation to sunny Florida. Going to be nice to get away for a little R & R. Not taking the cell-phone or the laptop. Just tanning lotion and a few good paperbacks. Chuckle. But before we do that, we want to thank the people in Scottsbluff, Nebraska who were so gracious to us at their one day comic con last Sat. This is the second year we’ve been to this show and the second year we met so many wonderful people. It was tons of fun. Will look forward to going back next year. 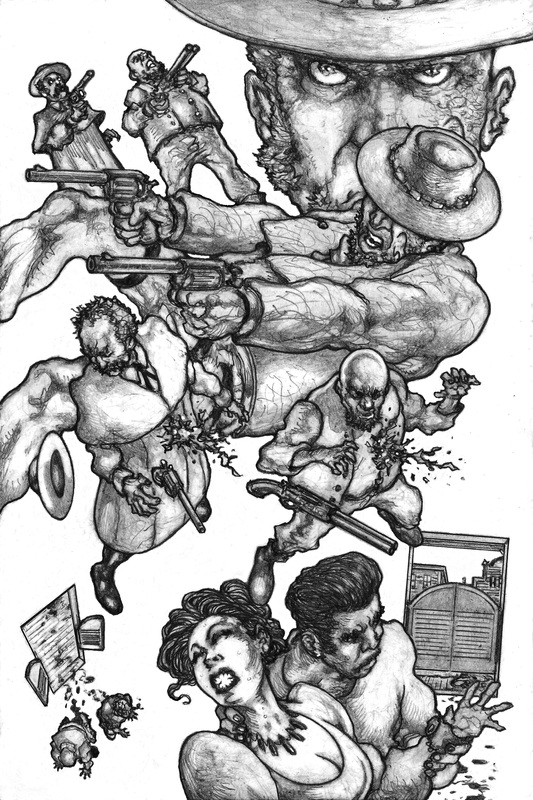 On the comics front, artist Cesar Madarro turned in page # 6 of “The Silent Gun,” as seen above. Only a few more to go to wrap this one up. Then we’ll submit it to various black and white comics anthologies. 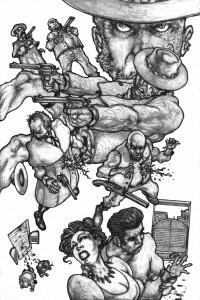 We love Cesar’s original layouts and he turns this gritty western tale on it’s ear. On the pulp front, Airship 27 Productions has just published its first ever omnibus title. 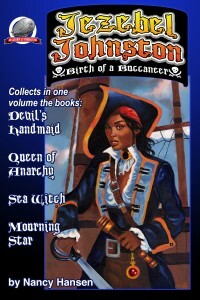 Nancy Hansen’s “Birth of A Buccanneer” collects in one huge volume her first four Jezebel Johnston pirate queen novels. It’s a whopping 638 pgs, making it our second biggest book since the classic “Legend of New Pulp Fiction” a few years ago. Colorado based artist Kevin A. Johnson did the cover and the book contains all of Rob Davis’ 36 black and white illustrations. 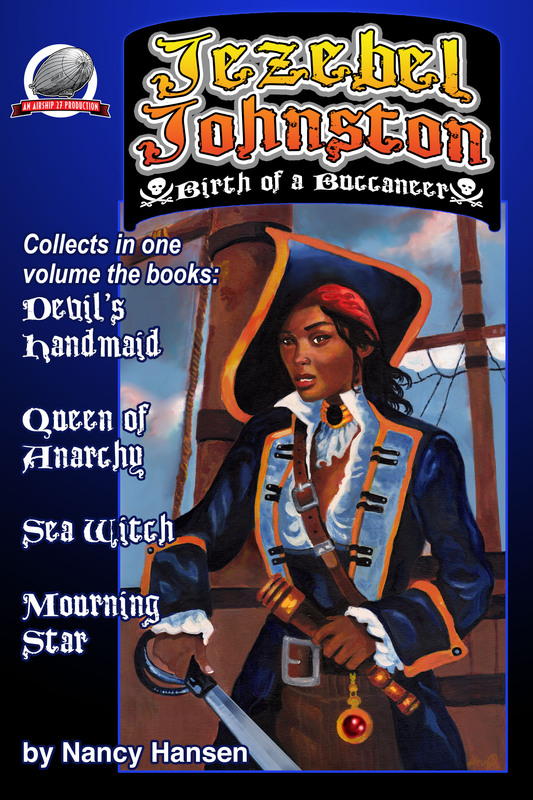 If you love old fashion swashbucklers, this is the book for you. Available from Amazon in both paperback and on Kindle. 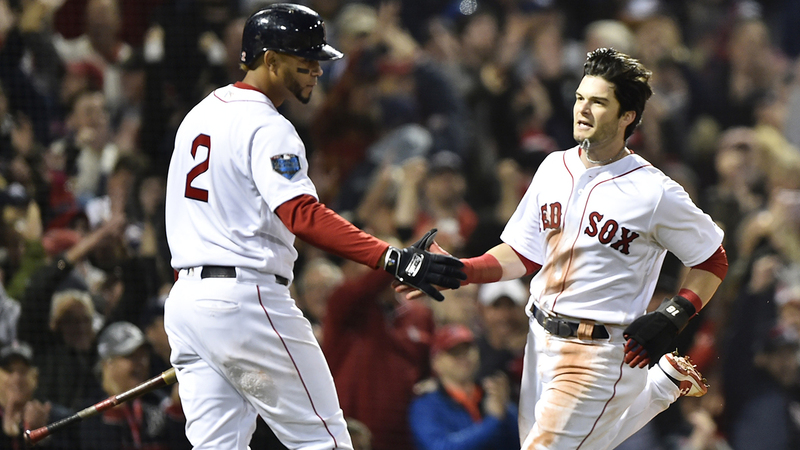 By the time you Loyal Airmen are reading this Flight Log, our beloved Red Sox will have taken the first two games in the World Series; beating the L.A. Dodgers in Fenway. As of tonight, the game moves to Dodger Stadium. 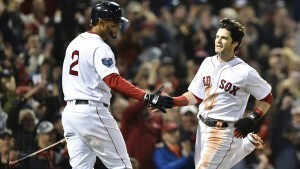 Cheering the Sox all the way. One of their best teams ever coming of a record breaking season. It doesn’t get any better than this baseball fans.